I love the start of fall. The annoying bugs are gone, the sun is warm, and the air is cool. Reminds me that life could be like this everyday if we never left Monterey, but one can only dream! I digress. And, of course, pumpkins. They’re not only the mascots of fall but happen to be nutritional powerhouses full of antioxidants, vitamins A and C, fiber, and potassium. The seeds are also little super foods packed with monounsaturated fat, zinc, magnesium, fiber, iron, protein, L-tryptophan (think anti-depressant), and phytosterols (think cholesterol lowering and cancer preventing). I have to admit that unsweetened canned pumpkin is somewhat of a staple for me. I use it to make smoothies, eat it as a snack with some cinnamon and nuts, or mix it with cottage cheese as a “dessert.” Canned pumpkin is easy and still packed with the same nutrients as fresh pumpkin (check your labels to make sure they say 100% pumpkin and not pie mix!) but every once in a while it’s fun to slice open a real pumpkin. Scoop out and discard pulp, picking out as many seeds as possible. Reserve seeds, no need to rinse or clean them from a little excess pulp. Fill a 9×13 pan with about a half-inch of water. Place pumpkin skin side up in water. Bake at 350 for about 60 minutes until tender. Scoop out pumpkin, discard skin. Place in food processor or blender and pulse until smooth. Use in recipes, feed it to your babies, enjoy it on its own as you wish. Mix about 1 Tbsp melted coconut oil and 1 tsp cinnamon with reserved pumpkin seeds (no need to rinse or clean off excess pulp). Bake at 300 for 15-20 minutes until crisp. Serve or store in airtight container for 1-2 weeks (my batch disappeared within 24 hours!). 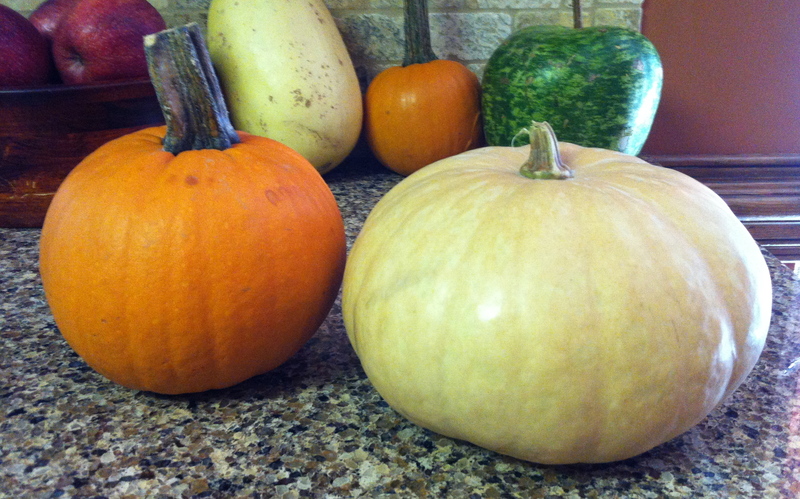 Stay tuned for a dinner and dessert recipe this week using Fall’s best super food! ← Do You Feel Me? Great post! Creative and fun. It seems easy enough. I hope I get a chance to try it! Thanks! 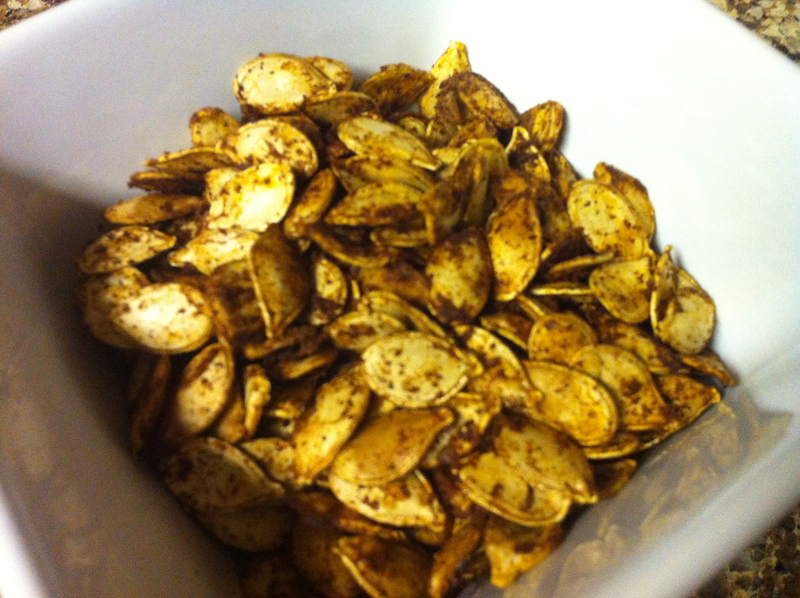 The best part is eating the freshly roasted pumpkin seeds! Enjoy!